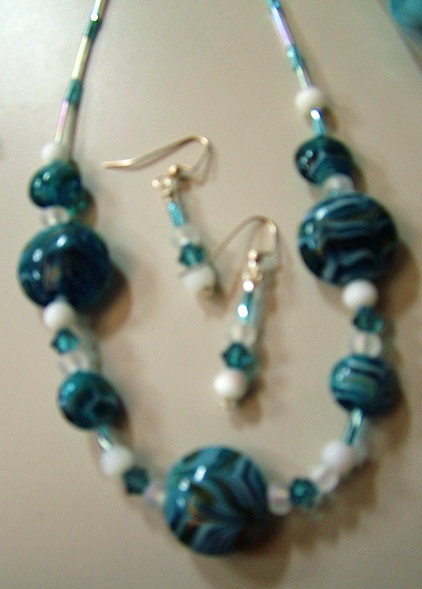 This attractive necklace and earring set features large painted glass beads and teal crystals offset with white. The matching earrings are for pierced ears but can be changed if required. Size small/medium. A fashion necklace for summer that will add a ‘wow’ look to any outfit.